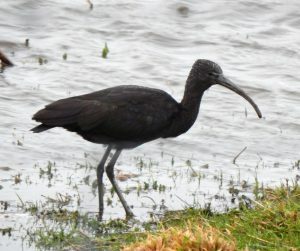 MID-ARGYLL: Whilst walking his dog today in Kilmartin Glen James Lehmann was treated to the sight of a White-Tailed Eagle soaring high over the fields and being harried by Hooded Crows. KINTYRE: On Saturday 28th a Little Egret was seen on the shore between Tayinloan and Kennacraig (Janice O’Neill). TIREE: Today, a Glossy Ibis showed well at Balevullin, a 3CY Glaucous Gull at Traigh Bhi, 3CY Glaucous Gull , 2 Red Knot at Clachan and a Juv Glaucous Gull at Kilmoulaig. (John Bowler). 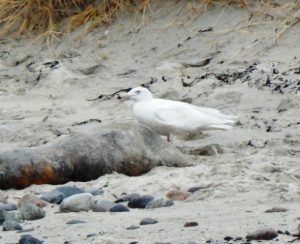 Also 2 Iceland Gulls between Hynish and West Hynish (Andy Robinson & Steph Cope).